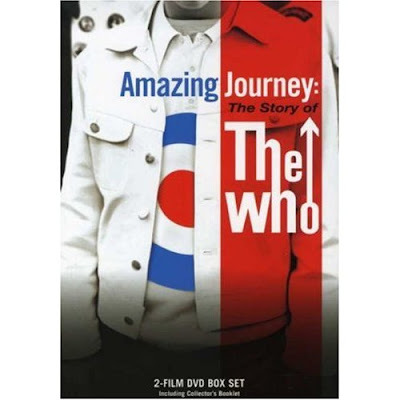 Plot: 2007-doco update on THE WHO & their story to date. Includes uptodate info on post keith/johns deaths with very recent interviews with Roger & Pete. So, lets get the friggin obvious question out the way first first. Do we neeeed yet another flaming WHO doco ??? Answer is, again, very obvious !!! Of course it is: ITS THE BLOODY WHO !!!!!!!!!!! O.k, now Ive made my position clear, why is this latest version worth your time & money? How about the frank, tender, funny, reveling & very compelling interviews from Rog & Pete that are great to watch, especially with the benefit/hindsight of time. MOONY on the drums. Great archival never seen before footage, esp the "high numbers" mini set at the railway hotel in 1964 or so. Kenny Jones on his tenure in the band (very honest-and surprising comments). MOONY BEING DRUNK & OUT OF IT. Great selection of supporting cast, e.g Chris Stamp, Bob Pridden, John Entwhistle's first wife, Rogers wife, Shel Talmy, and many others-all worthwhile. The revelation that Daltrey didn't really feel an equal until TOMMY. The OX's fingers just running wild over his bass'. More footage of MOON playing performing etc. And thus, your decision is now very easy. If your interested, go and watch as soon as possible. It will be, i promise, a very entertaining way to spend 2hrs of your time. The best possible introduction to THE WHO! The rest of you lot. Bugger off now to your nearest shop and buy a copy !!! Or download it, whatever. It has to be in your collection. This work (I won’t call it a movie because it is so much more) is BRILLIANT and well worth the wait as much of the film material needed to be restored because like the band most of it was pretty elderly! Its appeal for me was the insight into the historical context from which this great band arose probably because they are my g generation and I could relate to their times if not their lives. As a Who fan from way back I was treated to some images I’ve never seen before from the very beginnings of the group and of course the music was great. It doesn’t take much to get Pete presenting his point of view …not so much dear old Rog so it was great to hear his take on life with The Who. It is sad that there are now only two but it is pleasing to hear the obvious affection that remains and the lack of discomfiture in expressing it.